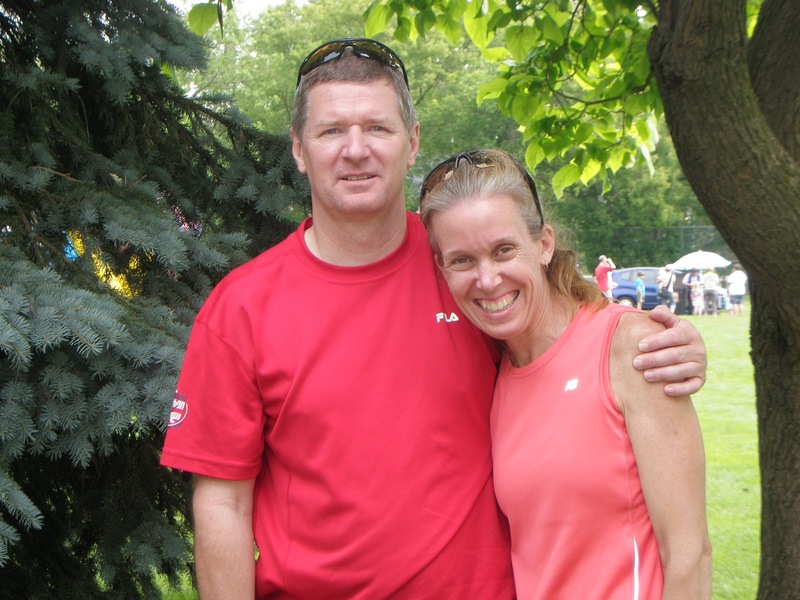 A few years ago, our minister said, “Behind every successful woman is a supportive husband.” Those words hit home with me as Dave has encouraged and supported my running in countless ways – watching the boys, “cooking” dinner, scheduling his activities around my team workouts, picking up shoes, driving me to races, turning a blind eye to new gear that mysteriously finds its way into my laundry basket…I’m pretty lucky to have such a great husband. Dave and me at the OTMH 5K, June. 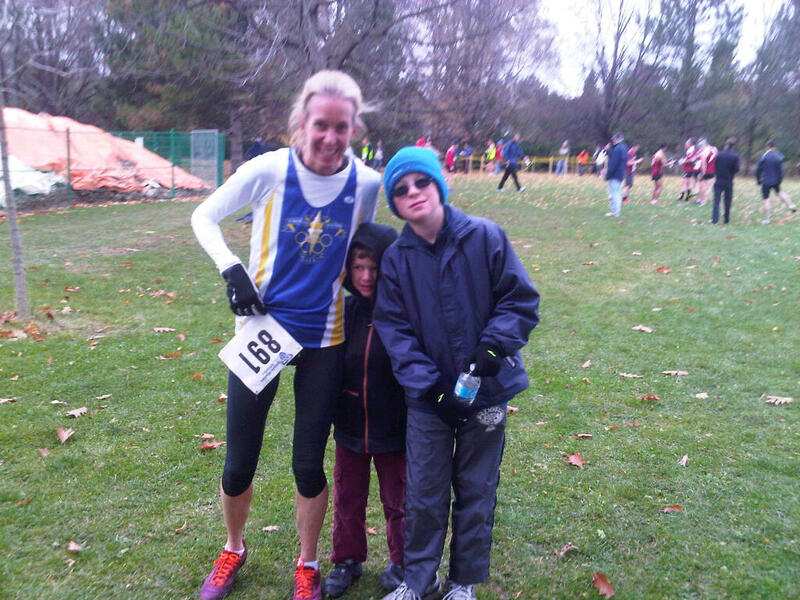 This fall, I’ve run two cross-country races and am heading to Provincials in Kingston this Sunday. Dave missed the first race because he was working and he won’t be in Kingston for the same reason. So, I really wanted him to come with me to last Sunday’s 8K cross-country race in Sunnybrook Park. Having him at Sunnybrook Park meant a lot to me. I was able to introduce him to some of the runners from the club, including Head Coach, Paul Poce. Dave was glad to finally be able to put faces to people’s names. After the awards (and I finished with a first place age group), a few of us stood around to talk about the upcoming weekend. Little Ironman and I were shivering; both of us were under-dressed and wanted to leave so we could warm up. Well, I didn’t get his jacket, but I laughed hard enough that I warmed up quickly. And now Dave has another descriptor to add to his list of ways in which he supports me. What a guy!